Many of us know Dr. Seuss for his iconic children’s books, from The Cat in the Hat to Green Eggs and Ham, but in his heyday of the World War II era author and illustrator Theodor Seuss Geisel was known for his political cartoons, like this one of “foreign children” being eaten in a children’s book that is being read by a woman wearing an America First turtleneck . 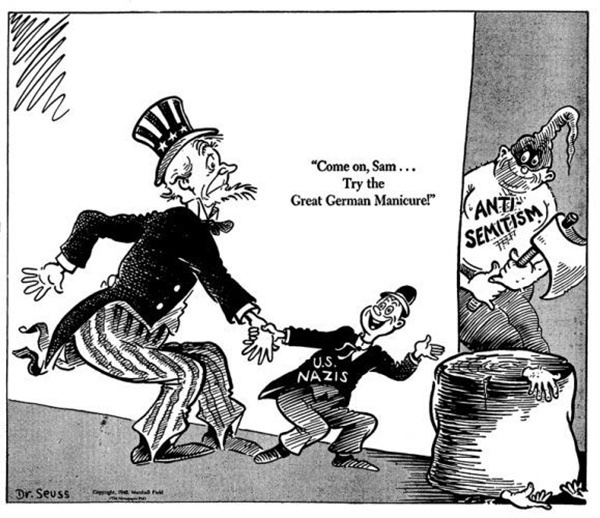 In such cartoons as this one, Dr. Seuss critiqued American isolationism during WWII and the country’s initial failure to see the humanity in the “foreign children” being killed by “Adolf the wolf.” Dr. Seuss took on many political and social topics, from anti-isolationism in Horton Hears a Who to racial equality in The Sneetches, anti-authoritarianism in Yertle the Turtle, anti-materialism in How the Grinch Stole Christmas, and environmentalism in The Lorax (Wood). However, his views greatly varied over his career, especially regarding his attitude towards the Japanese. 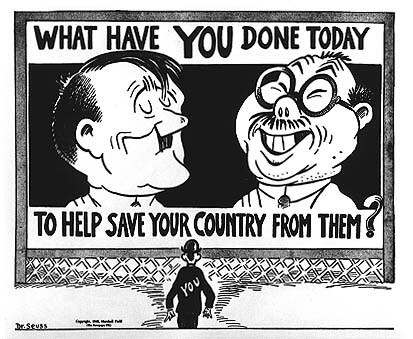 Dr. Seuss was not alone in his xenophobic perceptions of the Japanese, but rather aligned with greater American society, making his political cartoons a perfect way to understand Americans’ views of the ‘other’ during World War II. 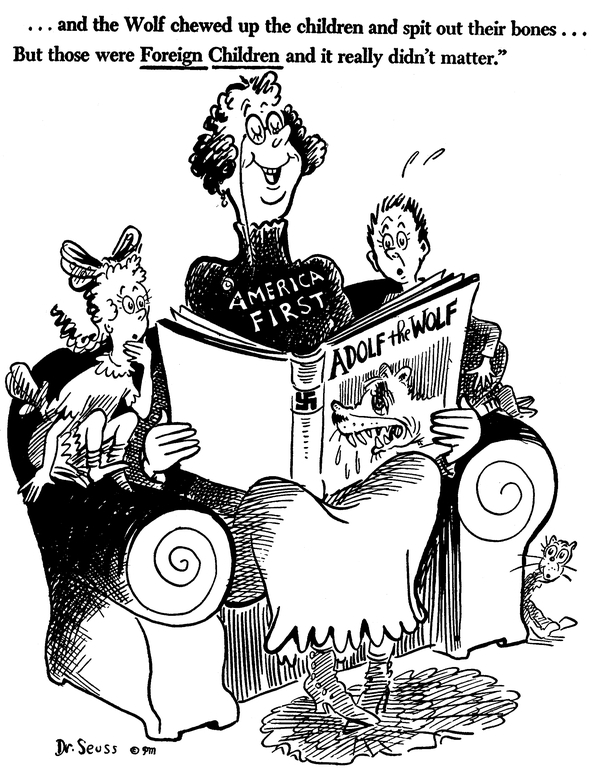 Dr. Seuss began his career by supporting the American cause and advertising for the buying of war bonds. However, this pro-war view went hand-in-hand with a racist depiction of the Japanese, as Hideki Tojo was depicted as the enemy in a particularly racialized way. This depiction soon escalated to illustrating the Japanese with extremely xenophobic tropes, such as with the notion that their numbers were growing into an invasion, or that Japanese-Americans were in cahoots with Japanese bombers in the homeland. 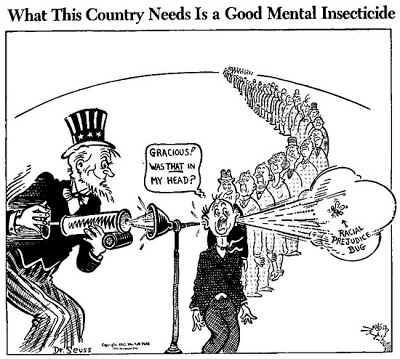 While Dr. Seuss’ take on the Japanese was in line with the greater American perception, eventually leading to the internment of Japanese-Americans, these racialized views did stand in contradiction to Dr. Seuss’ stance on Germany’s persecution of the Jews. 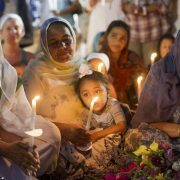 His images were critical of the isolationist stance of many Americans, even suggesting that the country take in more refugees from Nazi terror. 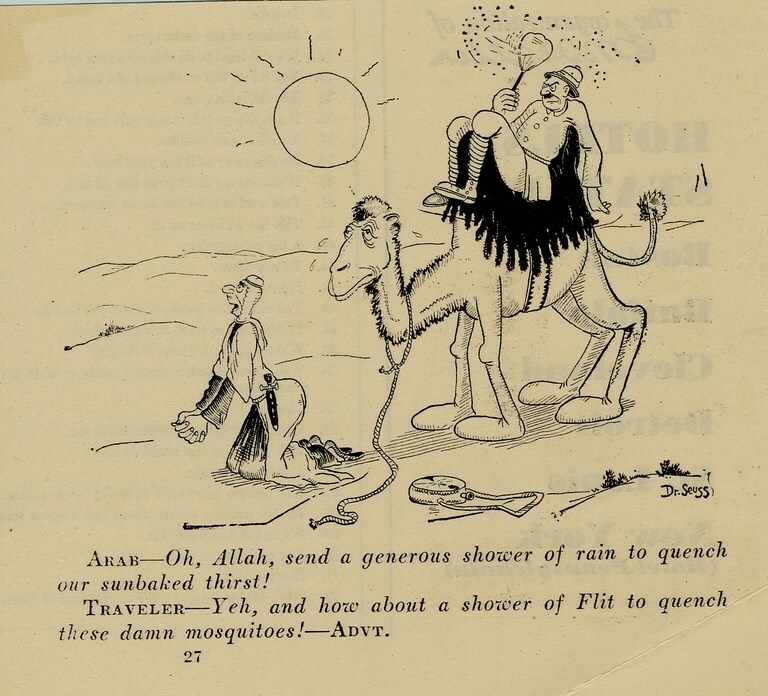 Alongside his troubling images of the Japanese, were his depictions of Blacks as “savages, living in the tropics, dressed in grass skirts” and Arabs as “camel-riding nomads or sultans” (Edwards). 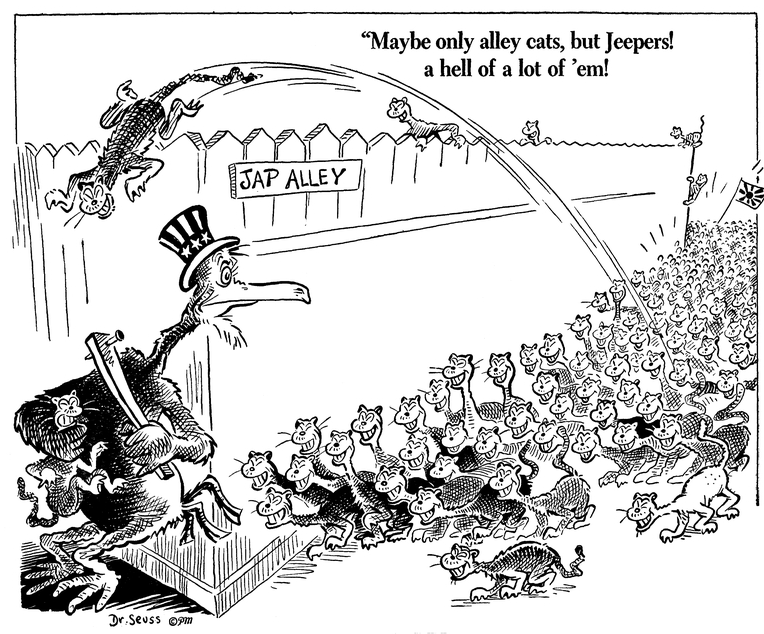 Dr. Seuss eventually re-evaluated his xenophobic thinking towards the Japanese. In 1953 he visited Japan and witnessed the atrocious aftermath of the Hiroshima bomb, catalyzing his change in heart. In 1954 he published Hortons Hears a Who! 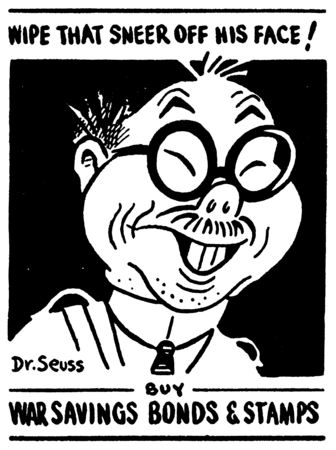 as an allegory for America’s postwar occupation of Japan, dedicating the book to ‘My Great Friend, Mitsugi Nakamura of Kyoto, Japan.” As Dr. Seuss began retracting his anti-Japanese views, he went about illustrating more prosocial campaigns, such as that of anti-isolationism, anti-materialism, and environmentalism. While many laud his 1953 children’s book, The Sneetches, for the ways it tackles racism, some critics note that Dr. Seuss never did change his physical depiction of Japanese or Black people – rather just the ways in which he explored the phenomenon of racism. Pick one cartoon from this article. 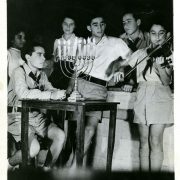 Who is represented in this image? What does their visual and textual context tell us about what Dr. Seuss might have hoped to convey about this person or these people? 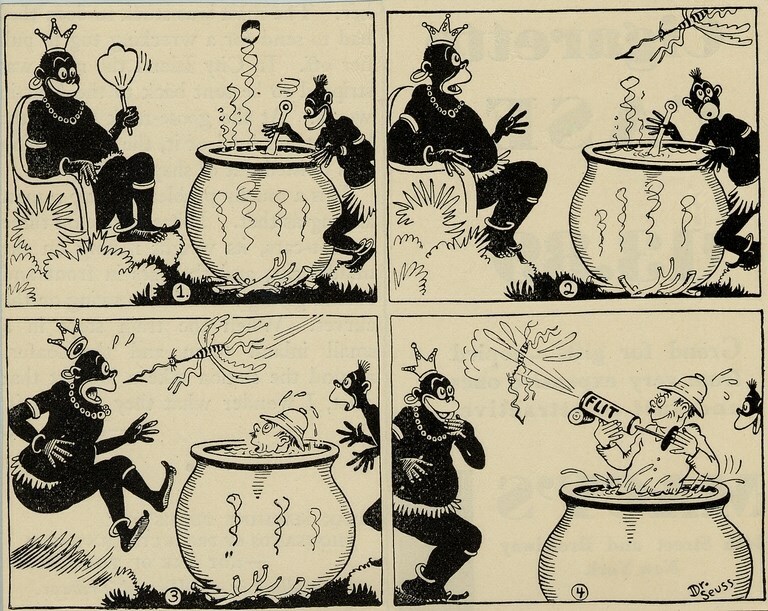 When was this cartoon published? Does this depiction mirror or contradict the greater American perception of this person or these people at the time of its publishing? 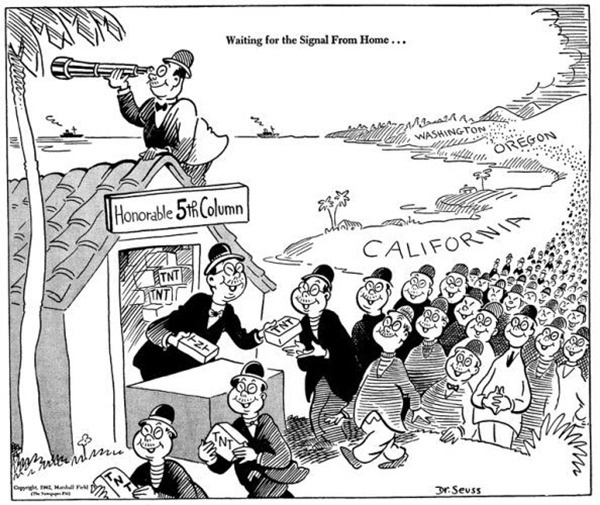 Dr. Seuss illustrated Japanese-Americans using many stereotypical tropes often placed upon immigrant communities. 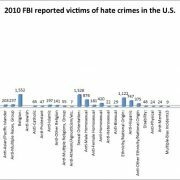 What are these tropes and how are they used today to antagonize immigrants? The treatment and understanding of Japanese-Americans within America was highly dependent on American relations with the country of Japan. 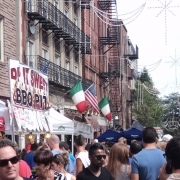 Is it always the case that American society views an immigrant community based on politics with that nation? If so, when else and if not, when was this different? How do we make sense of the ways people’s attitudes towards immigrants evolve? Look up political cartoons related to American immigration today. 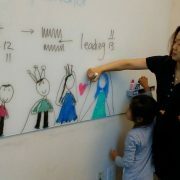 What do we learn from these?